While travel can be a fun and exciting adventure, there are often travel terms and questions that cause confusion. From airline fees to the effects of alcohol while in the air, the world of flying can be a tough one to fully comprehend. Read on as we ‘ex-plane’ some common travel industry terminology. The CAA – Civil Aviation Authority – is Britain's air safety authority. Its primary role is to hold airlines accountable to the safety regulations of civil air operations within the UK, including the operation of British aircraft overseas. CAA also acts as the local office for the European Aviation Safety Agency, which implements a Europe-wide regulation process. Why does my window shade need to be up on take-off/landing? In the case of an emergency, if your window shades are open during take-off and landing your eyes will stay adjusted to the outside light. If your eyes are not adjusted, it could delay the evacuation of an aircraft in an emergency. How can I avoid airline change and cancellation fees? Certain fare types offer flexibility for times you need to change or cancel. These options usually cost more up front but generally have no fees to change or cancel. Most fare types are non-refundable but selected flexible fares may be refundable. Airlines offer many different fare types. Your travel consultant can advise on the best fare to suit your needs. Why does alcohol affect you more while flying? 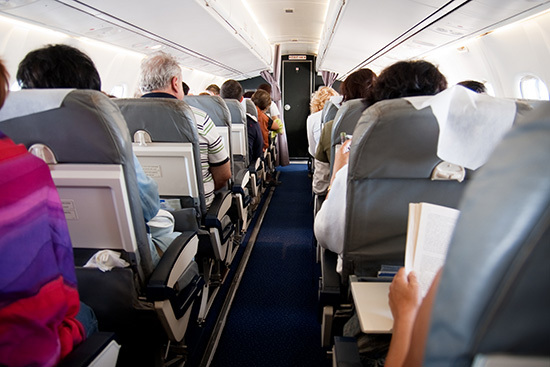 The cabin pressure when flying affects cabin oxygen and humidity levels. Normal humidity levels on the ground range from 30 to 65 percent. In the air, they can drop to 10 to 20 percent, which brings on the effects of dehydration a lot quicker, and that can mean a quicker onset of a hangover. It’s always recommended to limit intake of alcohol (and caffeine for the same reason) while flying. I’m a passionate traveller and a first class nomad wannabe. I have a love for the written word and enjoy sharing stories that inspire travel. I like ordinary but love extraordinary. I’ll dance and sing karaoke to anything 80’s, will drink hot tea even if 40 degrees, love food and have a wicked sweet tooth. Architecture excites me, the window seat thrills me and anything aviation enamours me. I’m a perpetual dreamer who lives by Saint Augustine’s wise words – “The world is a book and those who do not travel read only one page”. My intention is to read War and Peace!